Preheat the oven to 325 degrees. Grease a 9x13 inch baking dish with butter. 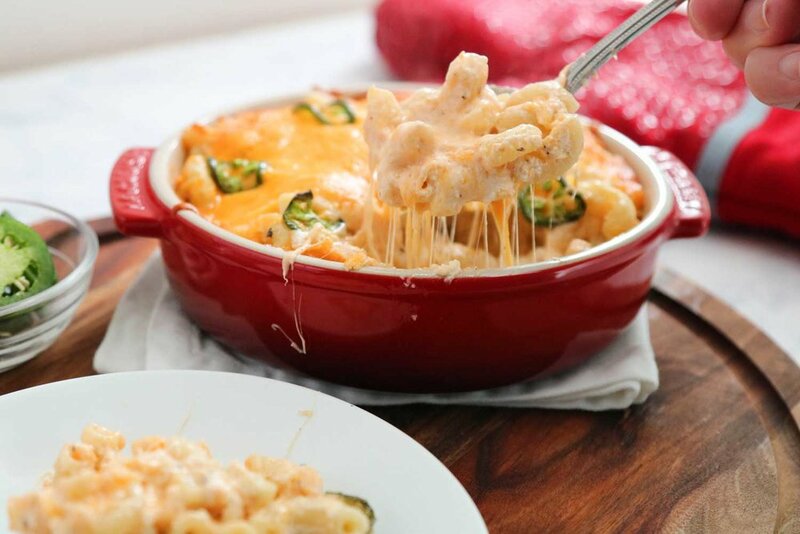 Place the cooked macaroni, half and half, cream cheese spread, 4 cups grated cheddar, and crab dip in a bowl. Season with salt and pepper and stir to combine. Top the pasta with the remaining 2 cups of cheddar cheese. Sprinkle the sliced jalapenos on top if using. Bake in the oven until hot, bubbly and beginning to brown on top, about 30-45 minutes.